By adopting the most healthful lifestyle with adequate exercise, rest, and a healthy diet, by abstaining from things that harm our mind and body, by nurturing healthy interpersonal relationships, by maintaining a positive outlook and hopeful attitude, and by seeking to know God deeply and trusting in His leading of our lives, we can begin to experience an abundant life today while also making a positive impact in the lives of those around us. 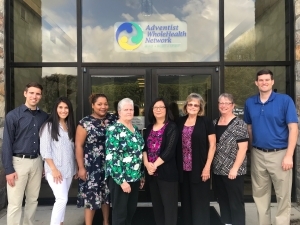 Adventist WholeHealth, a ministry supporting the work of the Pennsylvania Conference, oversees our Health Ministries. Contact them at 610.685.9900 to learn how they can resource and support your outreach ministries.